Organization of the polar expeditions is becoming a family tradition of the Rulers of Monaco. This is the 100-th anniversary of the Arctic expedition of Prince Albert I of Monaco. 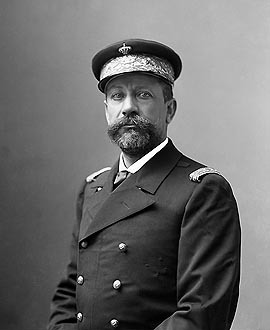 In 1906 Price Albert I of Monaco organized the expedition, which became of one of the most ambitious scientific projects of the beginning of the last century. By this time Prince Albert I had already twice visited the Arctic region: in 1898 and 1899. Now the purpose of his scientific interests became Spitsbergen. The team of well-known scientists, headed by Prince Albert I, was going to carry out quite new meteorological experiments and research of the glaciers. One of the most perfect ships of that time – Princess Alice II, specially designed and equipped for this venture – was at the disposal of the expedition. 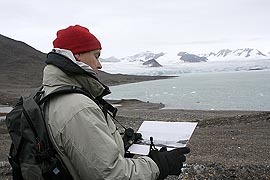 The program of the expedition included the detailed measurements of the glacier's beds. The team had charted and named many big glaciers in this area. The distant desire of Prince Albert I and one of the final tasks of the expedition was the trip to the North Pole. His Serene Highness Prince Albert II of Monaco has started this expedition to continue the scientific research of his ancestor. Using the detailed records of his great-great-grandfather, Prince Albert II visited exactly the same places and made the pictures of the glaciers, similar to those, which were made 100 hundred years ago. This became the direct evidence of the extent of influence of human beings on the fragile environment of the Arctic. Around 40 percent of the glacier has melted in the last one hundred years. Prince Albert I did not manage to reach the North Pole. In one hundred years his dream is being carried out by His Serene Highness Prince Albert II of Monaco.